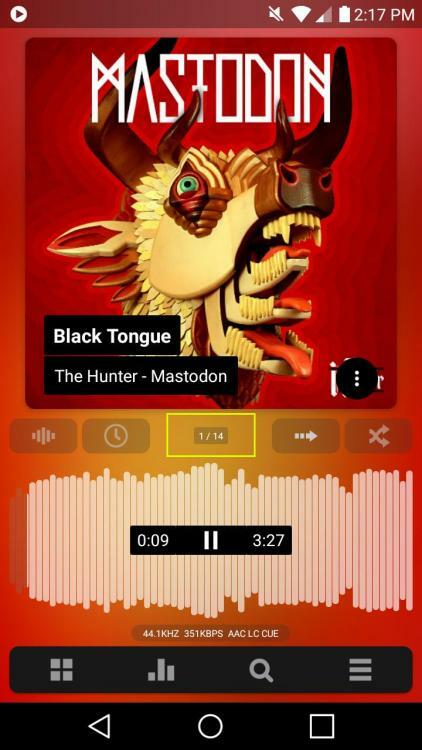 Rainbow is a brand new and unique skin that will change completely the look of your favourite music player: Poweramp. 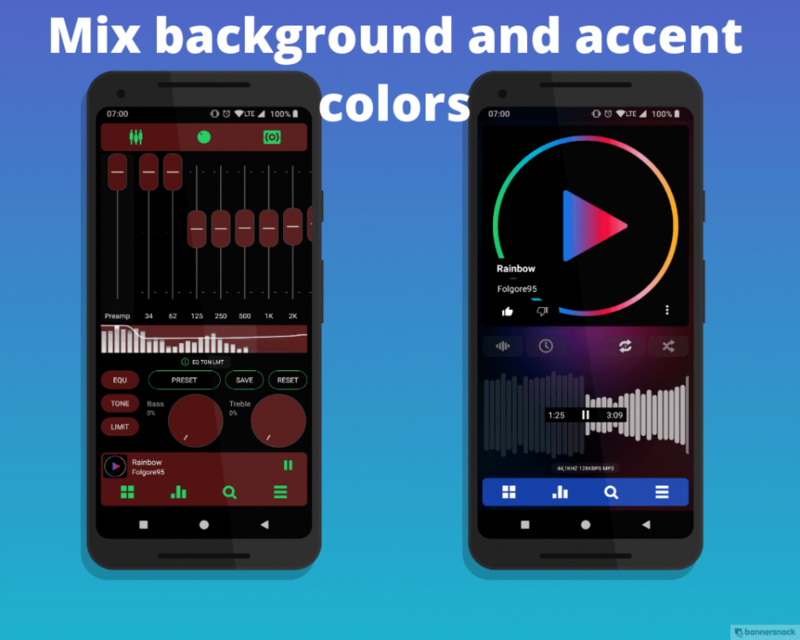 • Choose your favourite background and mix it with your favourite color! 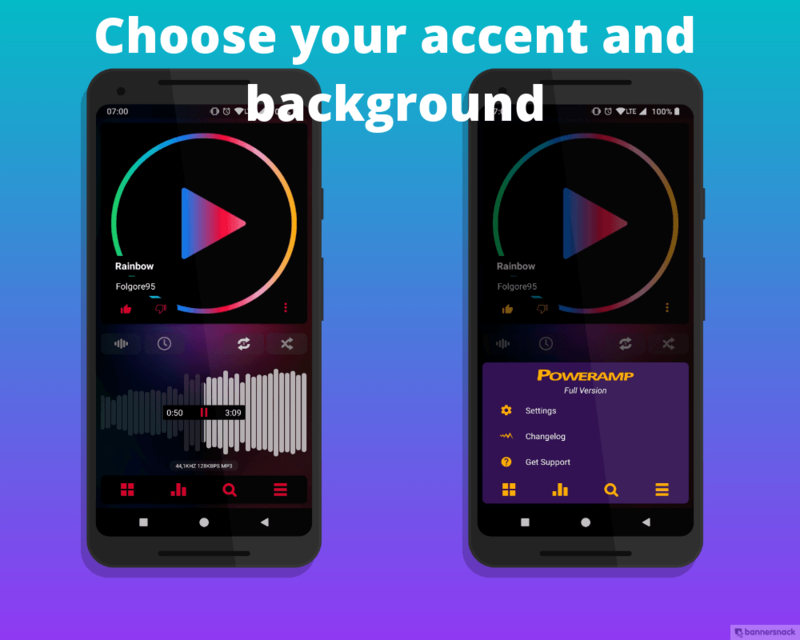 If you want an accent/background color to be added just hit me up on PM! Special thanks to @maxmp : First for the new version 3.0! The look is amazing and as a developer i can image how much work has been put on it! Second for providing a very well made template for build our skins! The template was done clearly. I will personally add something to the template via GitHub if Max likes it. Third thanks Max for helping me yesterday when i had some issues! NEWS: Guys! We are building some unique updates and something new! Just bought it with Google Play Rewards money. Excited to check it out! thank you! Next updates will bring new things. Stay tuned! Very nice theme! Thank you very much! Are there any options for removing the text over the album art? Is the track # supported? 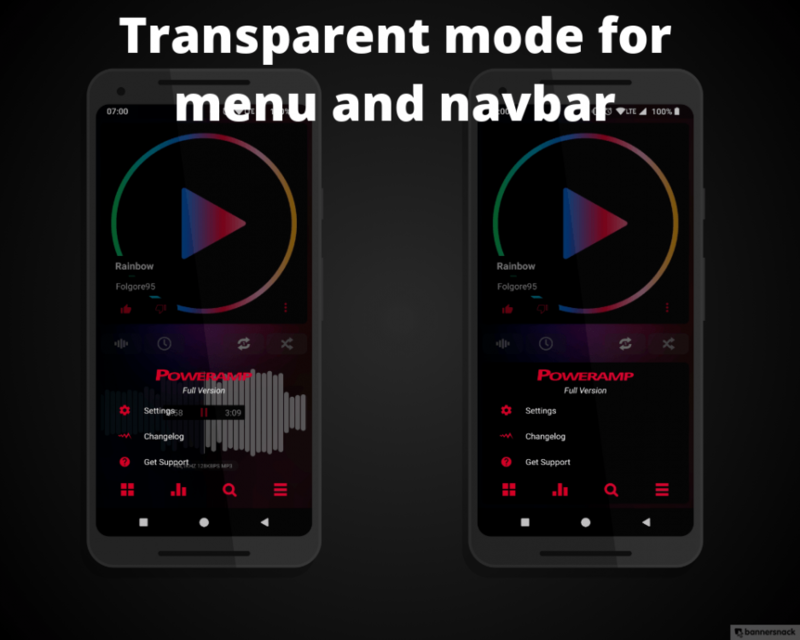 about removing text: i can make an option but i think white texts of songs ( for example in folders ) won't be visible. 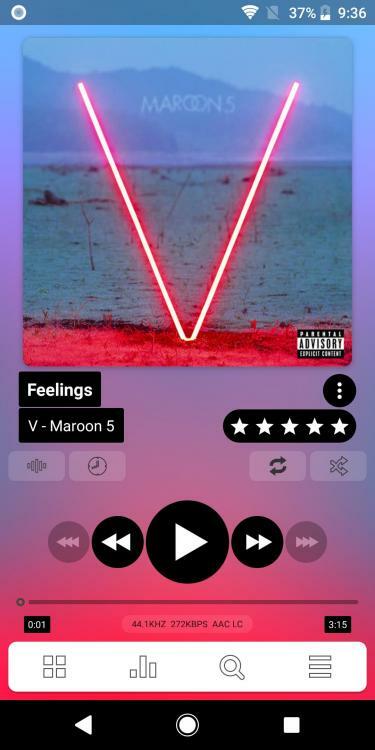 The bubble with the text on album art can't be removed. What do you mean with # track supported? Apple Music doesn't provide skins. And Poweramp is better. Thanks. Does your skin have options for the different seekbars shown here? I think he wanted you to make a Poweramp skin that looks like Apple Music... ? Actually no. But maybe I will implement something like those, in next updates! Unfortunately I can't right now. 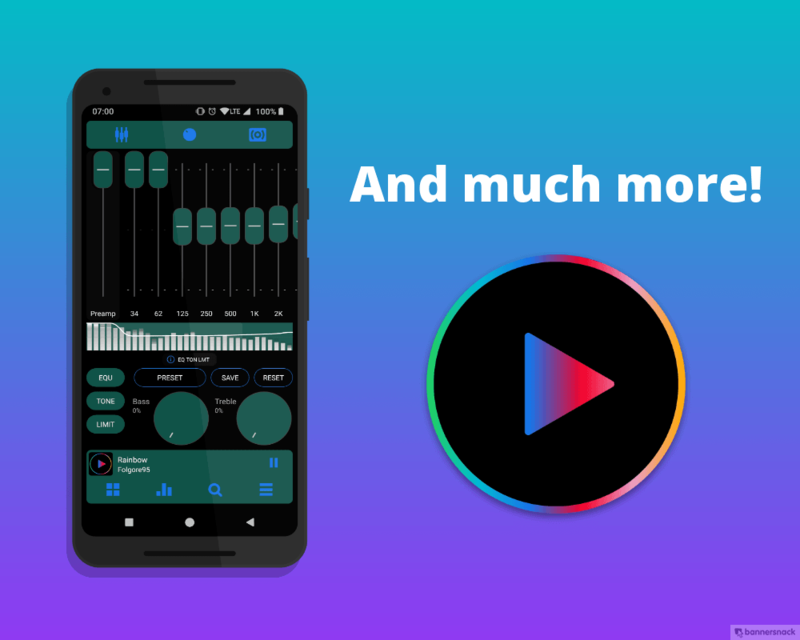 After I applied the theme, using volume crashes the app. 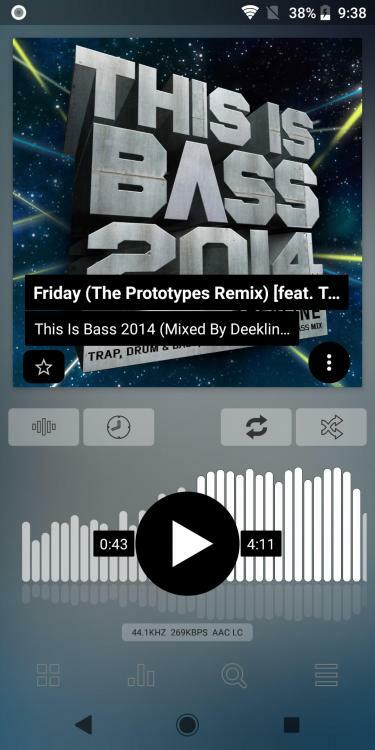 Is this a bug with your theme, or with 3rd party skins in Poweramp? android.view.InflateException: Binary XML file line #22: Binary XML file line #22: You must supply a layout_width attribute. Caused by: java.lang.UnsupportedOperationException: Binary XML file line #22: You must supply a layout_width attribute. java.lang.UnsupportedOperationException: Binary XML file line #22: You must supply a layout_width attribute. Please post logs as files or on some websites like hastebin! I just gave a quick look , it looks fine. I will investigate better those days. During that, try using other options and let me know if you still face the bug.